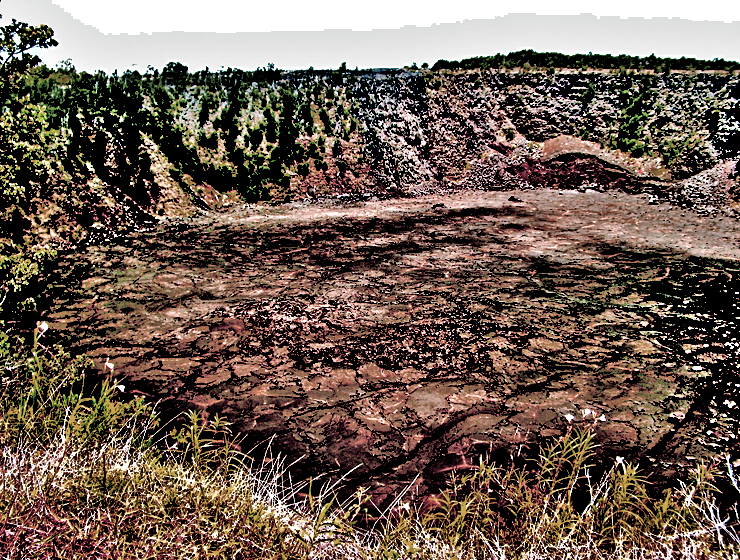 Here, at another large collapse crater formed by recent eruptions near the summit of Kilauea, a quick tour around Keanakako’i Crater will reveal fissures which were the source of lava flows in the 1974 eruptions. 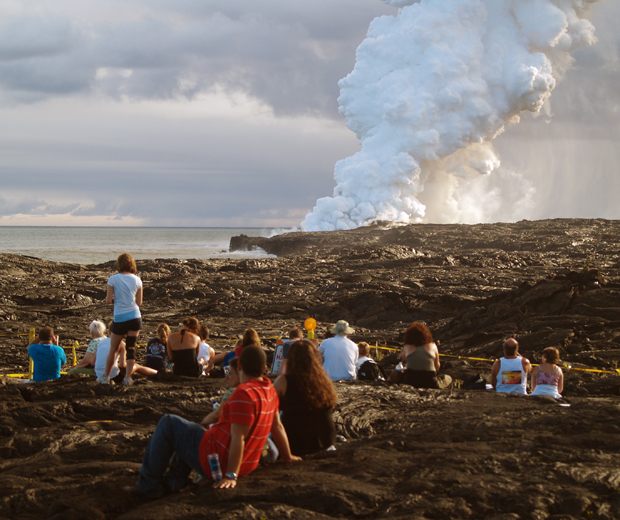 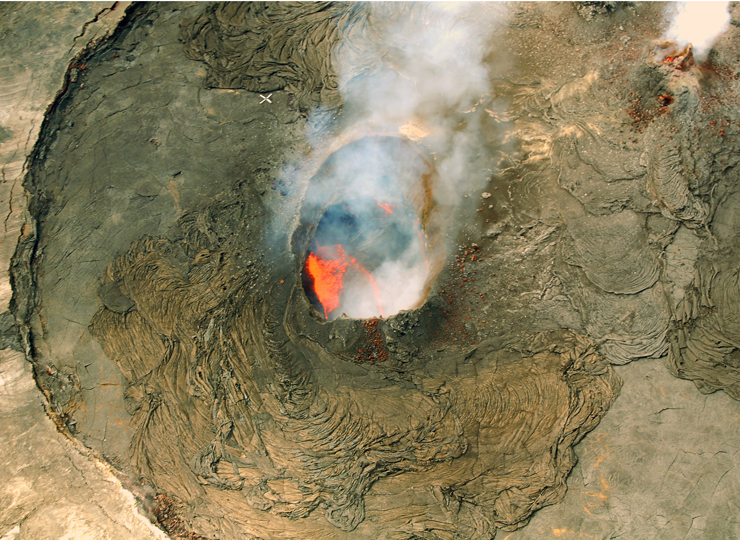 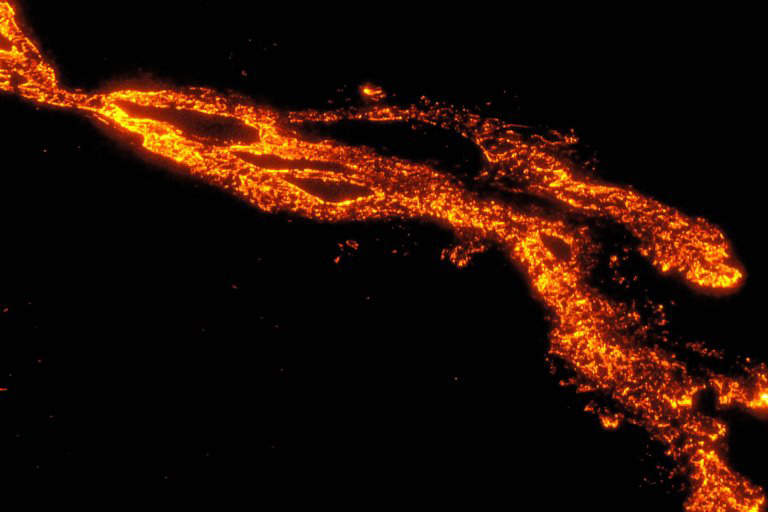 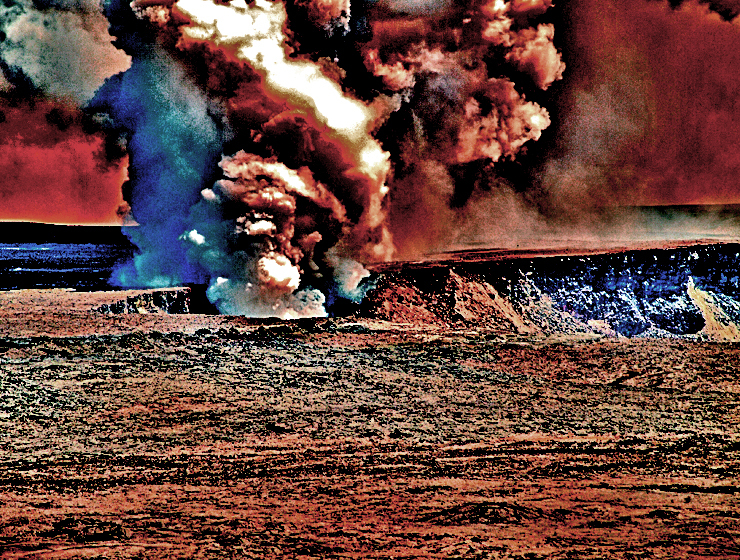 These eruptions were marked by enormous fire curtains and fire fountains. 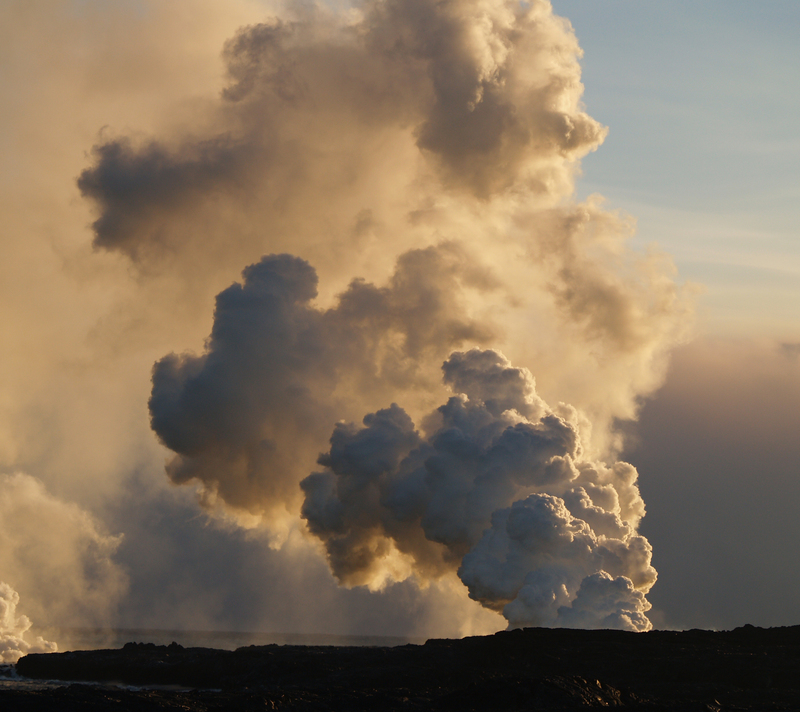 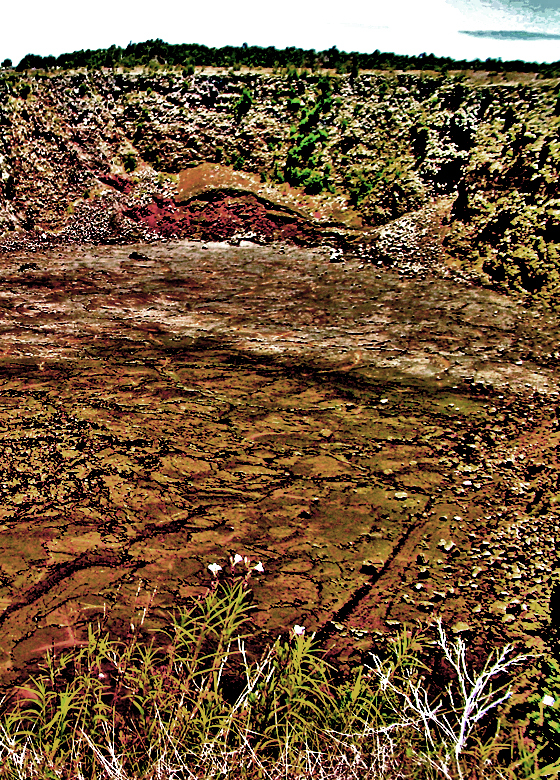 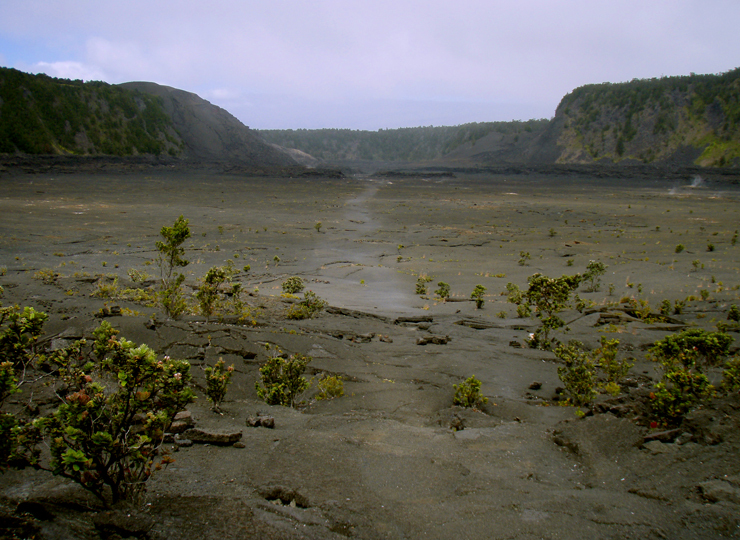 Also in this general area you will notice gravel sized pumice pebbles, formed from the froth of the lava which was ejected into the air, and cooled on its way down. 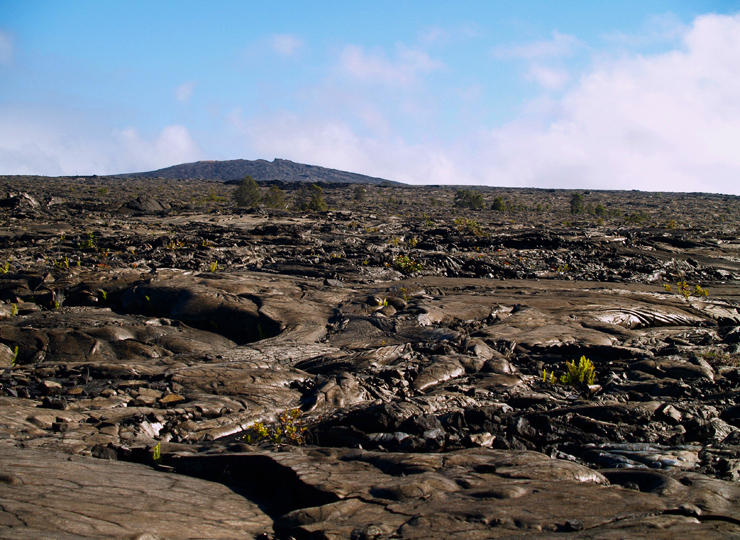 Geologists call these pebbles “tephra”. 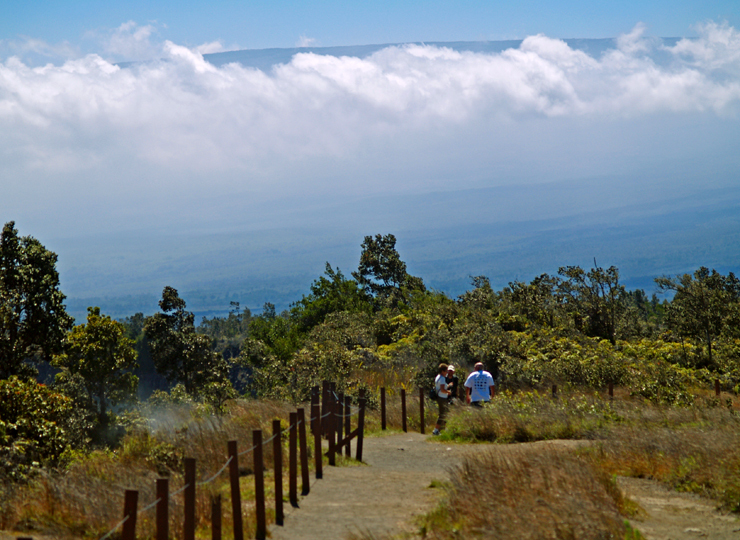 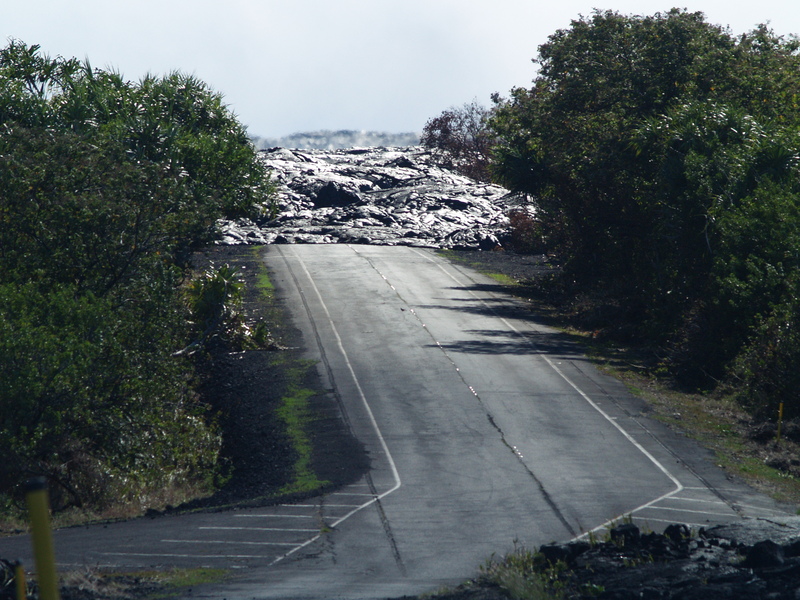 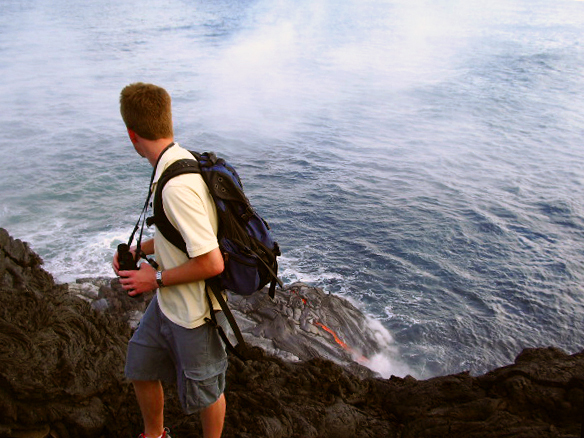 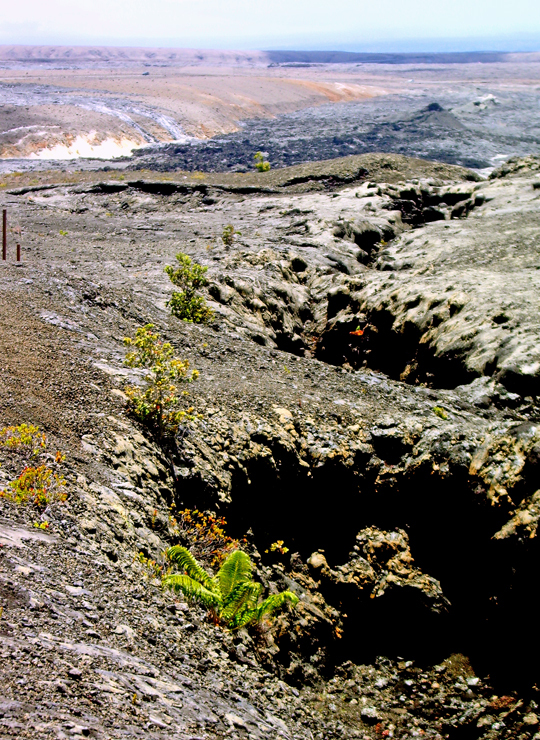 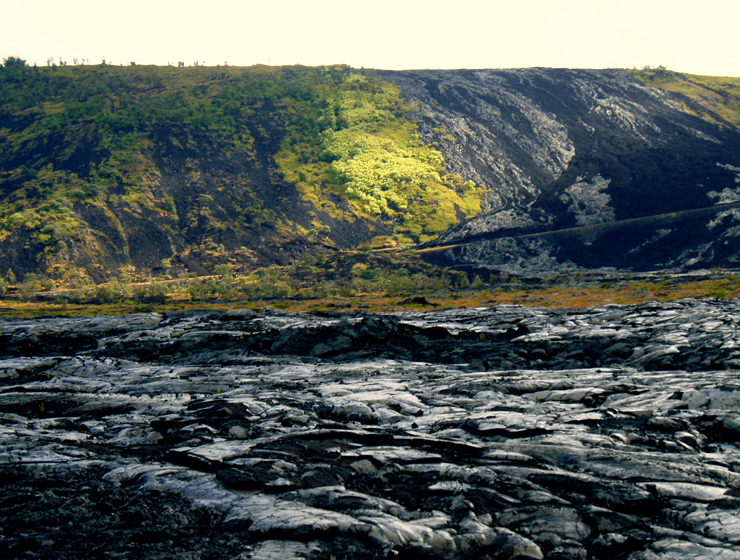 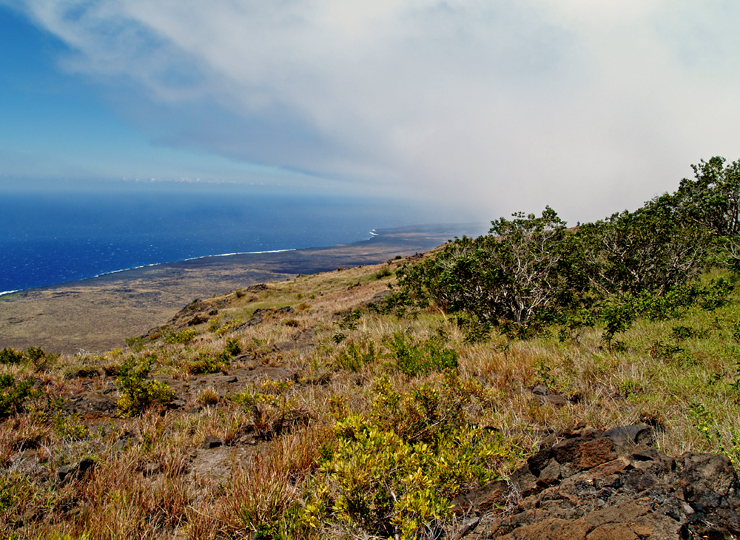 There is a trail from Chain of Craters Road to the crater along which are some of the finest examples of “lava trees”. 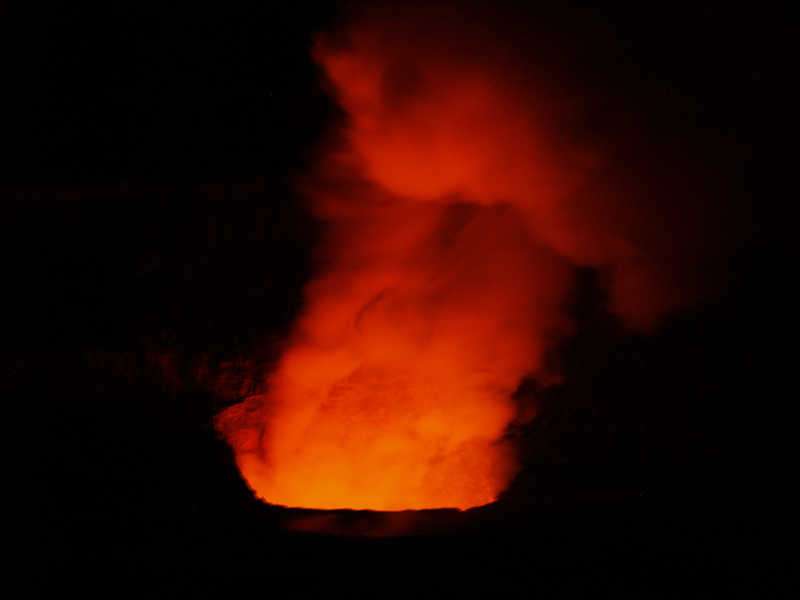 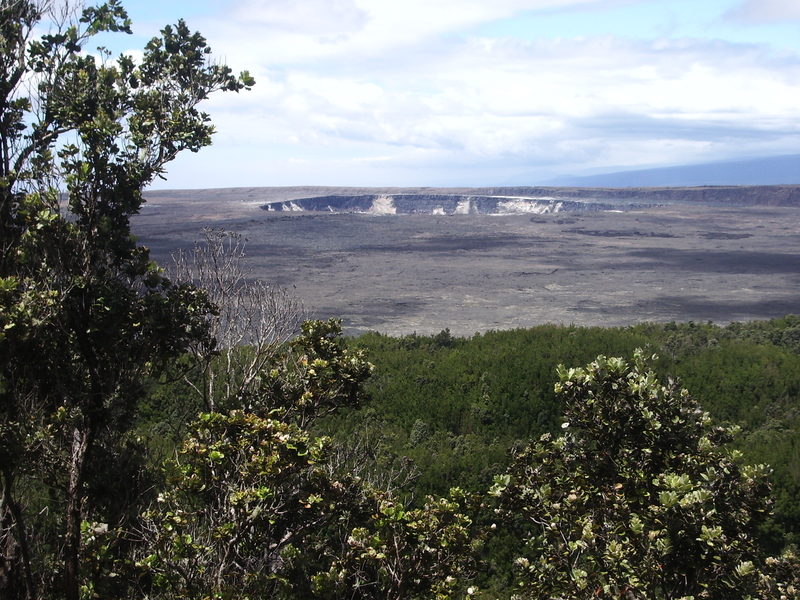 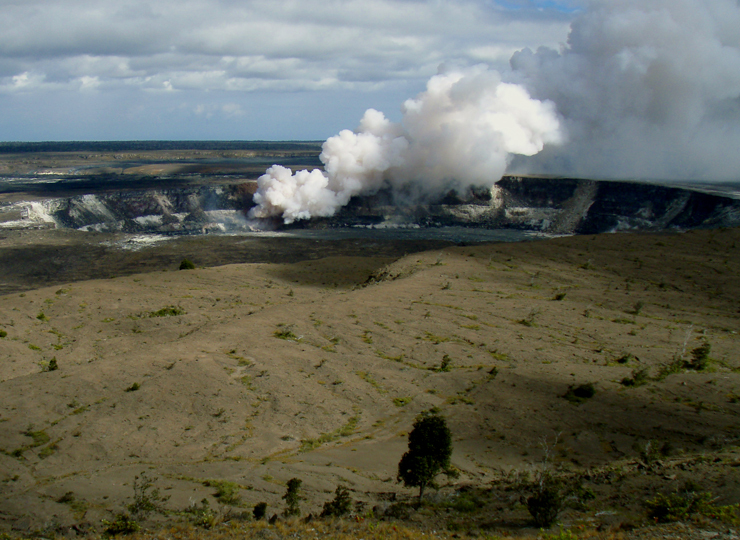 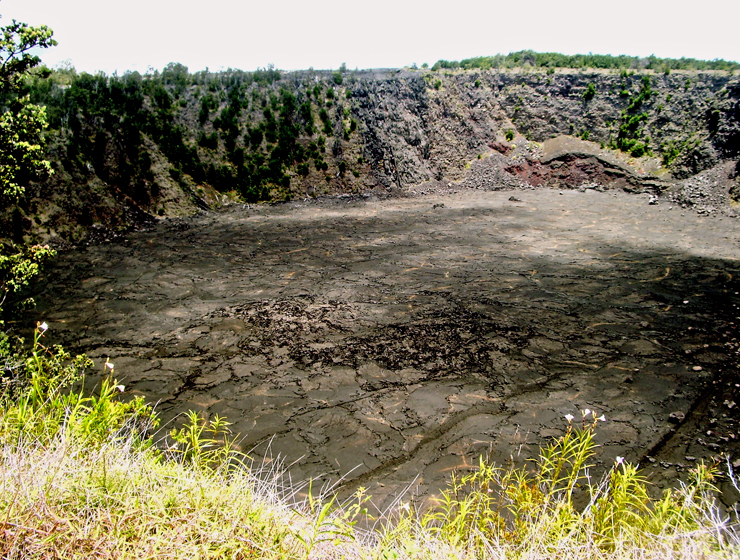 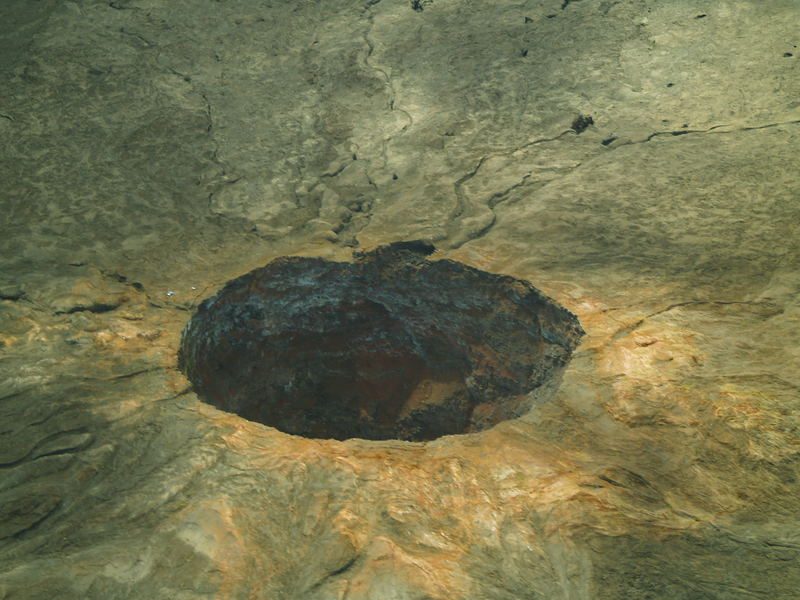 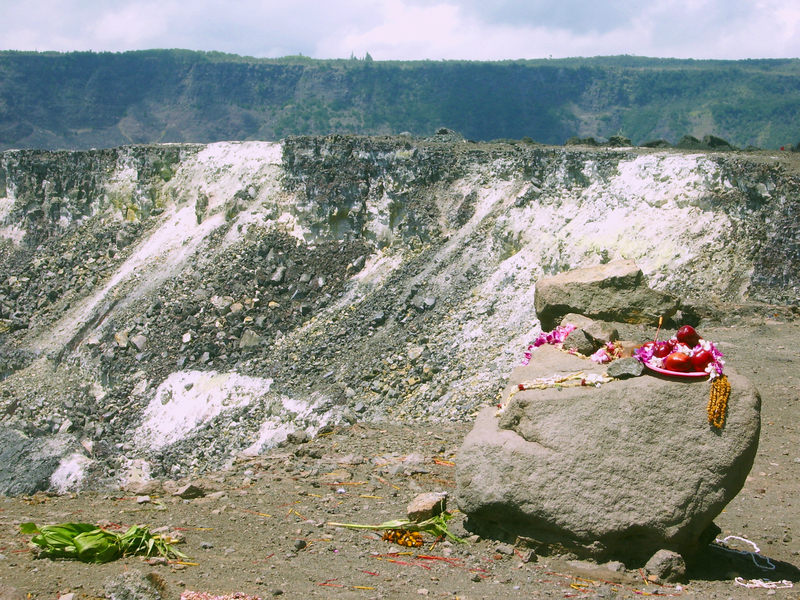 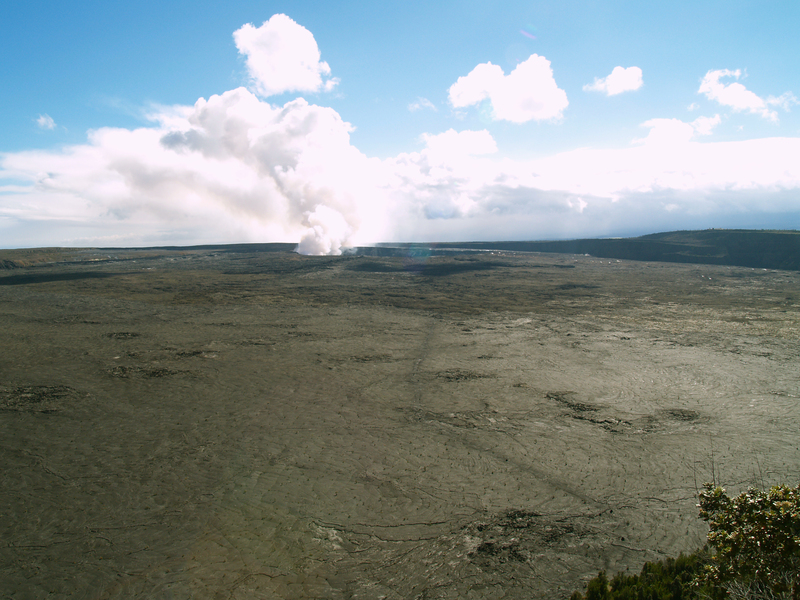 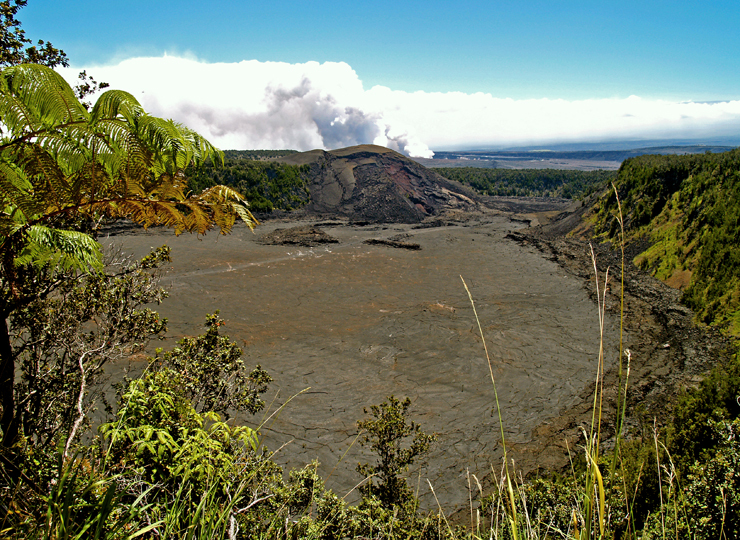 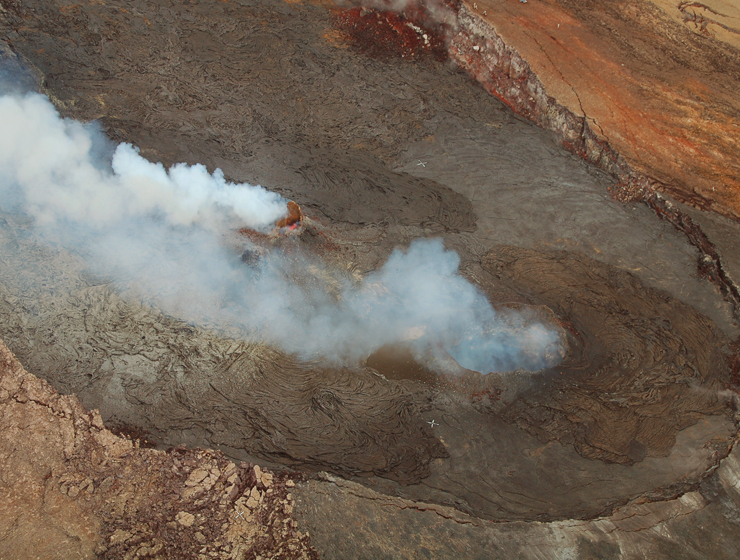 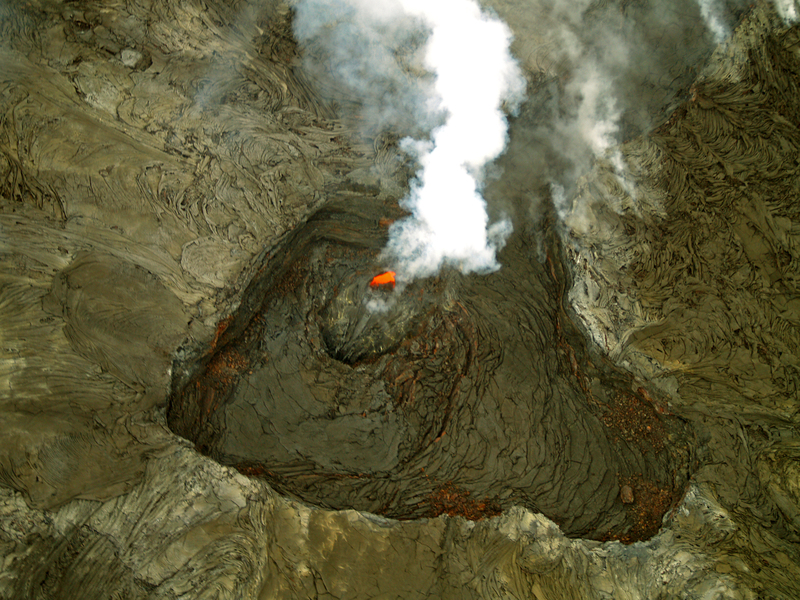 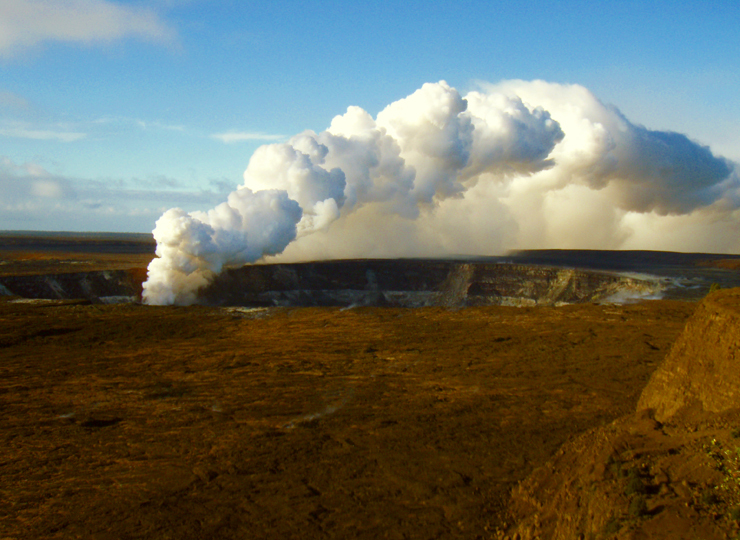 NOTE: Currently Keanakako’i Crater is inaccessible, as a portion of Chain of Craters Road has been closed due to the current eruption in Halema’uma’u Crater.